Homicide detective, Barbara Hobkins, is thrust headlong into the investigation. A product of the ‘new direction’ in law enforcement, her strength comes from a degree is psychology and an intuition that has served her well. But will that be enough when up against a sadistic killer? Her partner, Keith Reeves wants nothing more than to solve this case so he can have one normal night at home with his family. He fights the pressure to nail somebody, any ‘somebody’ to satisfy the powers above. The suspect, Royce Wertco is a teenage punk; capable of the numerous petty crimes he’s been convicted of in the past, but not murder. Barbara knows this with every fiber of her being, but can she prove it? Convinced the real killer is also responsible for a series of murders in Dallas, Hobkins tracks him to his seedy hidey-hole. 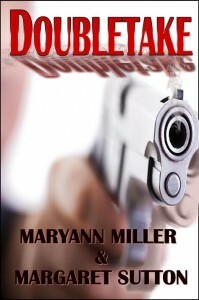 There, her investigation turns into a chilling race for her life and she almost becomes a victim of DOUBLETAKE.